US based Garmin has unveiled the Instinct, a rugged GPS-enabled smartwatch a perfect smartwatch designed especially for sport and extreme activity enthusiasts. Owing to high-real time functionality, the smartwatch is a perfect pick for those who love outdoor activities. The smartwatch which is priced at rupees 26,990 is available in Flae Red, Graphite and Tundra color options. 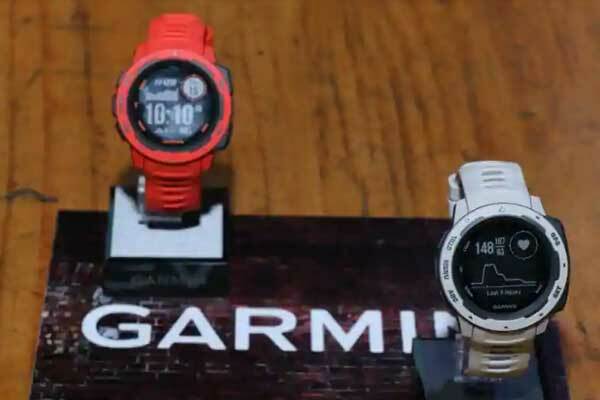 In India one who wants to buy the watch can pick up the smartwatch from Garmin’s authorised stores, the Garminstore.in, Paytm Mall and Amazon India. Talking about the inbuilt of the smartwatch, it come with a 3x-axix compass, barometric altimetric and support for multiple navigation satellites including GPS, GLONASS, and Galileo. Besides, the gadget also features a wrist-based heart rate monitor that measure one’s daily stress levee; and tracks heart rate zone at the time of exercise. In its power back up feature, the smartwatch can last up to 14 days on a single charge in smartwatch mode. According to the company’s statement, the watch can last up to 16 hours having full GPS tracking on. Compatible to all Garmin’s other outdoor products including InReach Mini, that basically allows users to send and receive messages as well as initiate an SOS call from the watch. The smartwatch also integrates with the Virb action cameras and Garmin’s Astro Dog-tracking collars. The Garmin Instinct gets its case built of fiber-reinforced polymer, which adds strength and durability to the product. The rugged, outdoor GPS watch is built to the US Military standard 810G for thermal, shock and water resistance (rates to 100 meters) according to Garmin.